The Palm Beach County Sheriff’s Office is seeking the public’s assistance identifying suspects WANTED for using stolen credit cards at a local Target Store in Royal Palm Beach. These suspects wasted NO TIME in using the stolen credit cards AFTER swiping the victim’s purse. The victim, while shopping at a local store, was alerted that her credit cards were being fraudulently used at a local Target Store. This incident occurred on January 10, 2019 at 2:45 pm. Target Store …is located in Royal Palm Beach. If anyone has any information on this incident please contact Crime Stoppers at 1-800-458-8477 or submit a tip online at http://www.crimestopperspbc.com/report-a-crime/. You will stay anonymous and be eligible for a reward of up to $3,000! 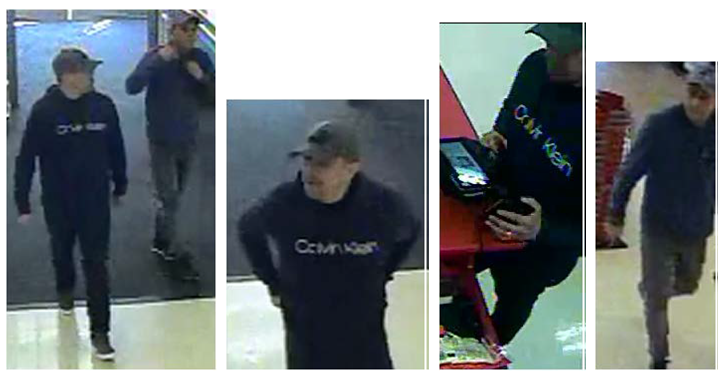 ← The Palm Beach County Sheriff’s Office is seeking the public’s assistance identifying a suspect WANTED for attempting to cash a fraudulent check for over $ 4800.